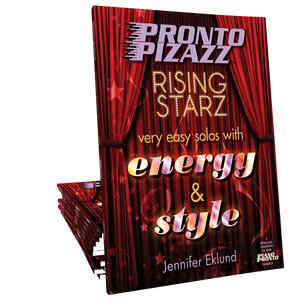 Your beginning level students will be begging for this playful, upbeat solo by Heather Nanney. The lyrics will have them giggling and dancing! 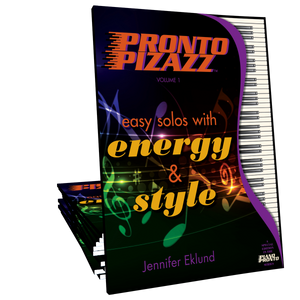 Play-along tracks in MIDI and Mp3 format included with purchase! I have one student who is a terrible reader (loves to play by ear and hates slowing down enough to look at a page) who was super discouraged by his progress one week- I pulled out Silly and he died laughing as he read through the words. We had a great lesson and he practiced harder the next week than he had worked in months! I love this catchy and playful piece. SOO much fun! I've had giggles and lots of smiles every time I've given this piece out. An earworm for sure! What a fun piece! LOVE the lyrics! The backing track is so fun. Boy this would be perfect to use in early childhood music classes. I just bought the studio license and I can't wait to share it with my students in Keyboard Kickoff. It's such a cute and funny song and the backing track is just genius! Such an appealing solo for elementary students. I had one student already singing along upon the first hearing. It's catchy and gives students the opportunity to show some personality and creativity in their playing. And they all LOVE the jazz hands at the end! This will no doubt become a staple in my studio! Looking forward to teaching this piece to students. Great music, super cover and a cool midi file as well. Thank you.